Most people who know anything about the VA Loan constantly ask, what is a VA IRRRL? First to be interested in the topic, you either should already have a VA Loan, or are planning on getting one. 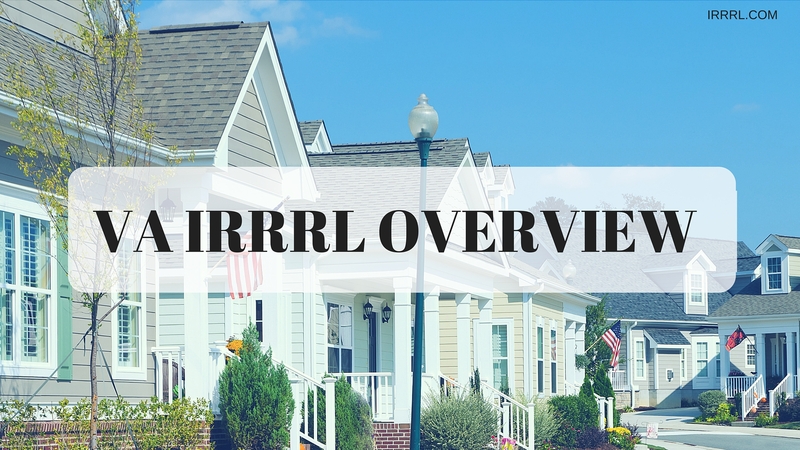 What is a VA IRRRL? It is the Florida refinance program to the VA Loan offered to active and veteran military members looking to refinance their home loan. VA Loans are a specialized loans designed directly for military members. Is it a no and low down payment loan, assured by the Veteran Affairs office. Any VA-approved mortgage lender, such as NSH Mortgage, can approve the lending for a VA Loan, and guaranteed by the federal government. The distinctive attributes of the VA loan are that with qualifying credit and income, you may purchase a home with no money down, which in turn, makes buying a home extremely affordable and attractive to those who served in the military. Now you may ask, what is a VA IRRRL? It is also known as the VA Streamline Refinance program that is designed for the specific VA Loan Guaranty program. It is officially known as the Interested Rate Reduction Loan (IRRRL), by the government. It is also sometimes referred to as the VA-to-VA Loan. Almost all active and past serving military members are eligible for either the VA Loan or the VA Streamline Refinance. The Interest Rate Reduction Refinance Loan allows you to refinance your current mortgage interest rate to a lower rate to allow you to pay less than you are currently paying. The VA Streamline Refinance Loan is an extremely popular home loan due to its ease of use. It is very, very simple to lower your interest rate and start experiencing considerable savings. In most scenarios a loan office or Florida mortgage lender with the correct expertise in VA Loans, is able to complete the loan interest transfer within one month’s time. NSH Mortgage has been able to do that consistently, and in some cases even short times. Do I Qualify For the VA Streamline IRRRL Refinance Program? Your Questions Answered On What Is A VA IRRRL? The VA Streamline Refinance Program is one of the easiest and quickest mortgage products that NSH Mortgage has to offer as a Florida mortgage lender. Currently mortgage rates are low, and you can continue to ask yourself what is a VA IRRRL, but we have the answer. The answer is if you currently have a VA Loan, now is the time to refinance using the VA Streamline Refinance Program.